The more we learn about the brain and behavioral science, the more we understand that most of our daily functioning happens pretty much on autopilot. According to Gerald Zaltman, Harvard Emeritus Professor of Business, 95% of our cognitive activity is subconscious. Nobel prize winning behavioral economist Daniel Kahneman calls this “System 1” thinking. As we drift through the supermarket or Amazon Prime, our reptilian brain is always on. I saw this idea illustrated recently in a terrific talk by Zoë Chance, Assistant Professor of Marketing at Yale–where she studies persuasion and decision-making. She spent a memorable hour talking about alligators–why they behave the way they do– to a room full of rapt, note-taking Marketers. According to Professor Chance, the alligator behaves according to a clear set of rules. React emotionally first. 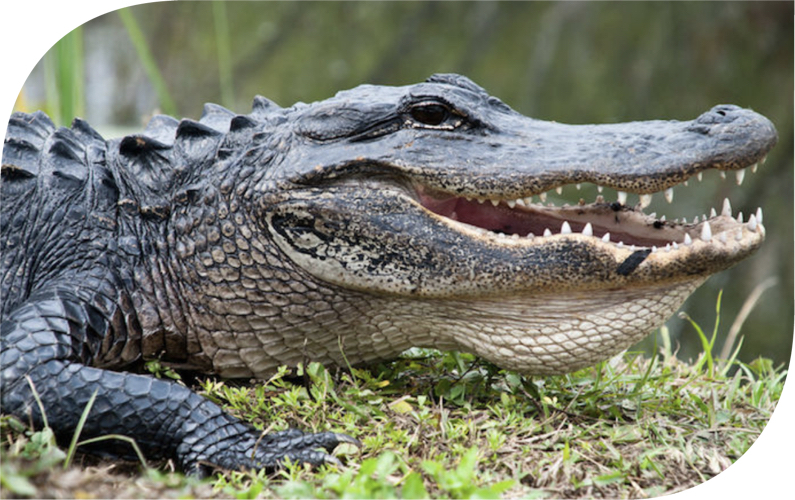 When attacking prey, alligators don’t think. They act. Emotion drives their behavior. All the new brain research suggests that we feel before we think, which has profound implications for marketers. Retreat if threatened. Alligators retreat and hide from predators and danger. Customers don’t buy from people or brands that make us feel uncomfortable. Seek the familiar pattern. Is it an egret? A fish? A predator? Alligators act quickly on patterns that are familiar to them. We do the same. If they call it “Almond Milk,” it is much more palatable than “almond paste mixed with water.” The word “milk” brings with it lots of good, familiar baggage. Preserve resources unless there is something new. Alligators are lazy. Until they are hungry. So are we. Novelty grabs an alligator’s attention. And ours. If you want to persuade the alligator (95% of your customer’s brain) you need to use alligator tactics. Professor Chance suggests the following tactics, pulled from the latest learning on behavioral science. Scarcity. Our fear of loss is twice as great as our desire for gain. In Wisconsin, we have a beer called Spotted Cow that wasn’t anything special until the brewer decided to only sell it in Wisconsin. Now it is available at every bar in the state and the last thing you see at the airport when you leave. Ease. Amazon’s patented “One-click purchase” and Uber’s easy to use app are examples of brands appealing to our lazy alligator brains. Professor Chance suggests that making brand recall and purchases easy has the biggest influence on persuasion of all the tactics. Label. We don’t know it until we can label it. Almond “milk” is a hit (see above.) Enough said. Attention. We are attracted to the new. It turns out the Energizer Bunny was on to something. Grabber. (This one is a bit of a stretch, but I needed something that started with “G” as you will see below). The grabber is the “challenge.” Giving the consumer a problem to solve. We all have a little bit of Thomas the Tank Engine in us in that we want to be useful. Brands that challenge us to be useful and find purpose engage us more deeply. If you like corny acronyms, (and who doesn’t?) the first letters of this set of tactics spell SELAG. So if you want to “sell a gator,” remember: SELAGator. Sincere apologies to those of you who hate corny acronyms.